The first half of the year saw me really finding my voice with my ceramic bead designs and having jewellery designs published in the wonderful Belle Armoire magazine. 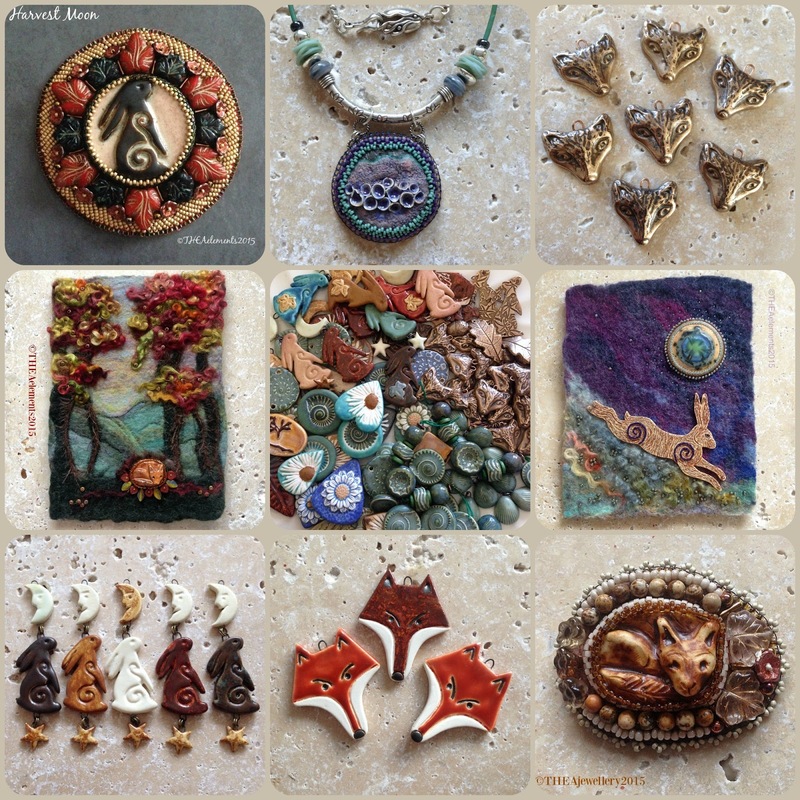 Then after a fabulous and creative summer break with good friends in the USA I’ve been trying my hand at some new things and have found several new passions – not least bead embroidery, felting and mixed media decorative art. So what’s in store for the coming year…? Well hopefully much more of the same. I really want to immerse myself in these new activities and see what comes of it but that doesn’t mean I’ll be giving up on bead or jewellery making. In fact I’m hoping for some cross-pollination that will allow me to come up with some original ideas for my own jewellery and bead designs. For practicalities sake though this is going to involve some reorganisation and re-branding to make everything a bit more cohesive. To this end I am planning to spend the next few weeks creating a new standalone shop as a single outlet for my beads, jewellery and decorative art. It’s early days yet but I’m very excited to get started on this new venture. In the interim both my Etsy Shops (see links at the top of the blog) will remain open but there will be minimal listing of new pieces. 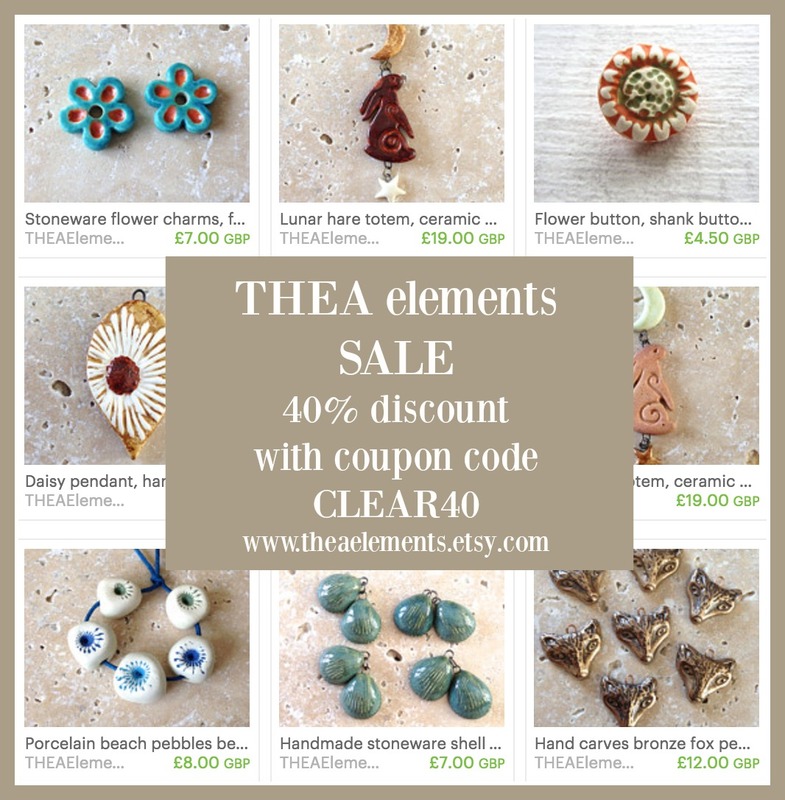 Since I don’t want to be transferring stock from one shop to another I’ve decided to end 2015 and start 2016 with a clearance sale in my bead shop and everything is now available with a whopping 40% discount – just used coupon code CLEAR40 and the discount will be applied at check out. I’m also planning to have some jewellery destash events in January so keep an eye out here and on my Facebook page (or sign up for my newsletter using the link at the right of this page) for news of that…and there may be some beady goody bags up for grabs at some point – who knows. 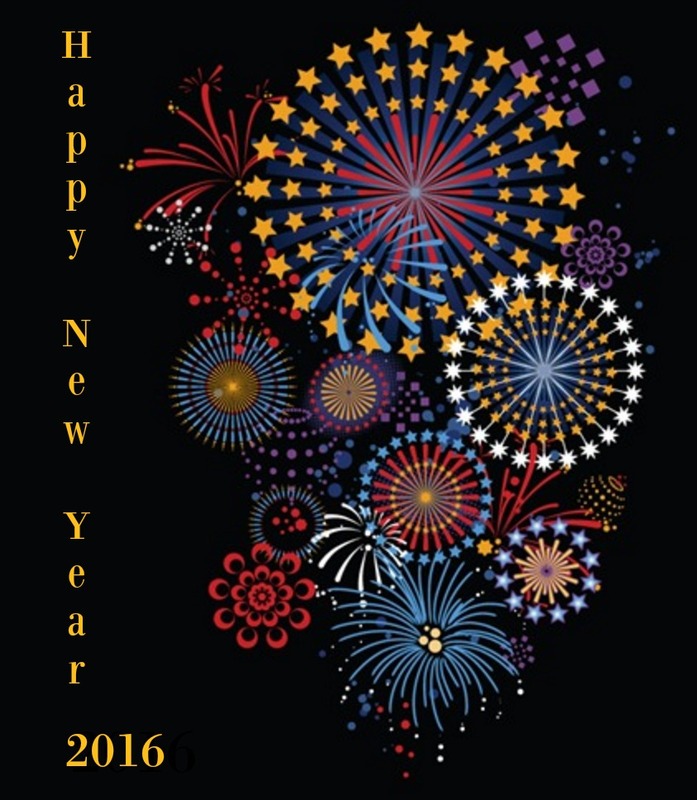 So those are my plans for the early part of 2016…what about you – what exciting things do you have planned? Whatever they may be, big or small I hope your New Year celebrations are full of joy and that the coming year finds you healthy, happy and wise – and creative too of course!